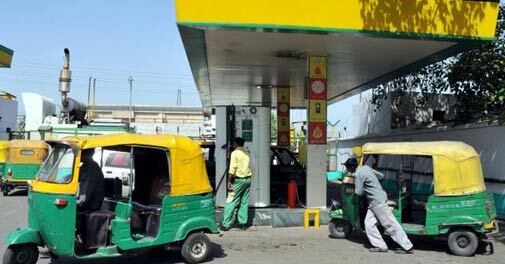 IGL supplies CNG across most of the National Capital Region. And with domestic production stagnating, it has been forced to import more and more gas. Supplies from the KG-D6 block off the Andhra Pradesh coast, for instance, have stopped since 2011. Currently over 25 per cent of IGL's CNG is imported. Imported CNG currently costs around three times what locally produced CNG does. Domestic gas, on the other hand, is available at administered prices. The gas from KG-D6, for example, would cost the distribution company buying it $4.2 per unit, while imported CNG costs $11 to 12 per unit. Besides international gas prices are always volatile. The international price of CNG may soon start reflecting in the bills of Indian consumers, since, unlike those of other fuels, CNG is not subsidised and its price reflects market realities. With diesel priced at Rs 47.15 a litre in Delhi, and the CNG price now rising to Rs 39.90 a kg, the question arises whether vehicle owners may prefer diesel engines vehicles to those using CNG. After all, CNG-powered vehicles have many other disadvantages. Will the government next raise diesel prices too to prevent this from happening?